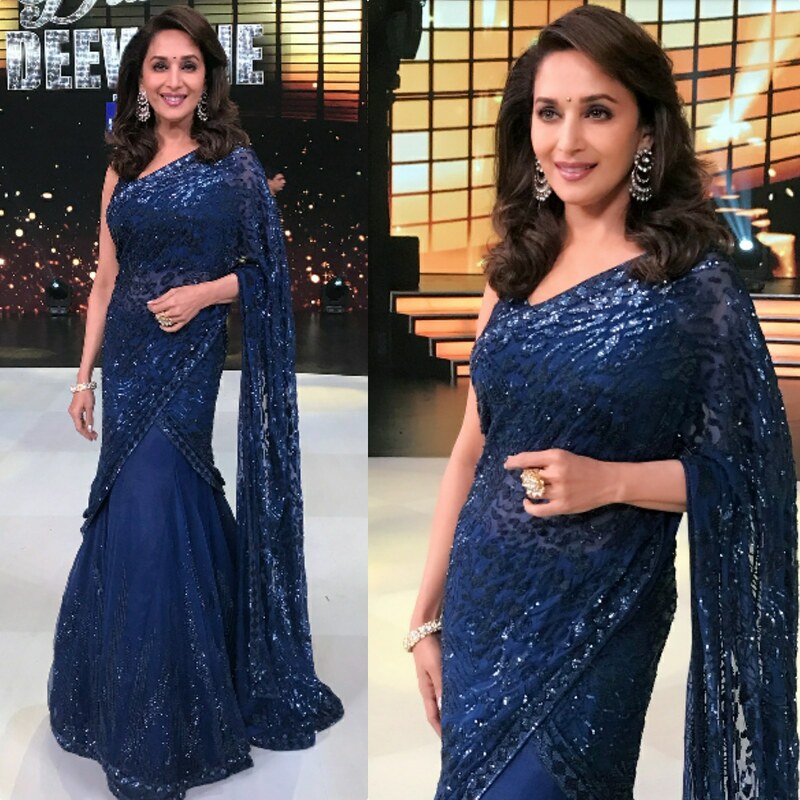 Madhuri Dixit wore a blue sari by Rabani and Rakha and jewelry by Jaipur Gems on the sets of Dance Diwane recently. Open hair, heavy earrings and a bindi finished off her look! Madhuri looked great in this blue look! What say?